Your kitchen is the living, beating heart of your restaurant. Without your commercial kitchen pumping out delicious food to your guests on a regular basis your eatery is doomed to suffer from problems such as long waiting times and frustrated guests, both of which are detrimental to your success. As such, it’s vital that you design your commercial kitchen with functionality in mind, as well as other key factors which can determine whether your restaurant fails or triumphs – add the following three key ingredients to ensure it’s the second option. When designing your commercial kitchen, layout is the key. Does your layout enable food to be sent out in the most efficient manner possible? Are the washing and preparation areas in the right location? Preparation, cook and serve are the key ergonomics when designing the kitchen space. The last thing you want is your chefs and waiting staff constantly having to cross from one side of the kitchen to the other to either prepare meals or send cooked food out, this leads to frustrations and low morale. Nobody wants to work in a kitchen which has equipment which is either not fit for purpose or in bad repair. Ensure the kitchen equipment can do the menu it is asked to do. Using equipment which is too small leads to slow service, unhappy customers and lower revenue as no one wants to come back for a poor meal. Equipment that is not regulary serviced slows the whole process down and leads to low morale within the kitchen team. One aspect that’s of critical importance when designing your commercial kitchen is choosing the right ventilation system. 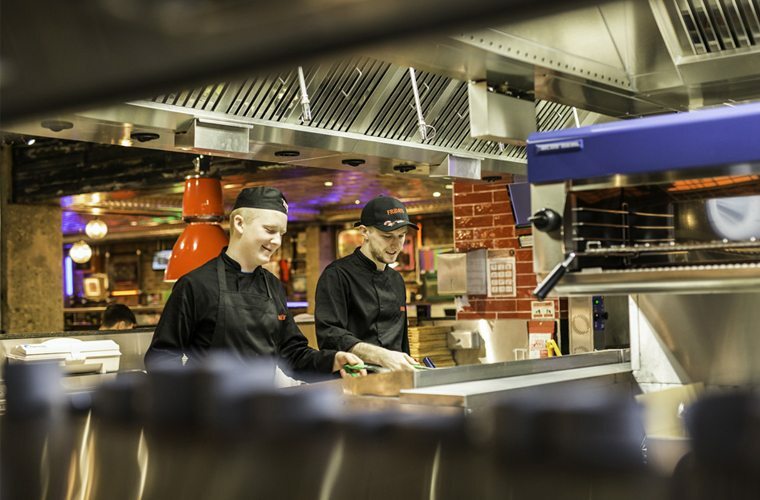 We recommend that a ventilation system is designed to be aesthetically pleasing as well as easy clean; you want your kitchen staff to feel encouraged by the environment they work in, not dismayed and having to work against it. Current health and safety legislation is also an important consideration when choosing your ventilation system. There have been many changes to the legislation and you need to ensure your system meets the latest requirements.